The Islamic Corporation for the Development of the Private Sector (ICD) is a multilateral organization, part of the Islamic Development Bank (IDB) Group. ICD was established in November 1999 with an authorized capital of USD 2 billion and a membership of 52 countries to promote economic development of its member countries in accordance with the principles of the Shariah through private sector development. ICD encourages the establishment, expansion and modernization of private enterprises through financing private sector enterprises or projects. Projects are selected on the basis of their contribution to economic development considering factors such as creation of employment opportunities and contribution to exports. ICD also provides advice to governments and private sector groups on policies to encourage the establishment, expansion and modernization of private enterprises, development of capital markets, best management practices and enhance the role of market economy. ICD operations complement the activities of the IDB. 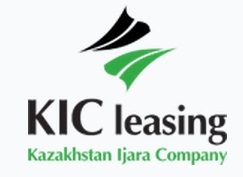 Kazakhstan Ijara Company (KIC) is the first Sharia compliant leasing company in Kazakhstan has been founded in April 2013 as a partnership of ICD and by diverse group of international and local investors. Registered Charter capital is $40 mln. and the initial paid up capital of the Ijara Company is $28 mln.. The company operates in the field of Islamic leasing and provides Ijara financing facilities to all sectors of the economy, especially to support the development of small and medium enterprises (SMEs) by providing alternative sources of Sharia compliant financing for their projects. Eurasia Group AG is the National Distributor of John Deere in Kazakhstan and Kyrgyzstan. John Deere is one of the largest manufacturers of agricultural machinery in the world. Eurasia Group AG provides its customers with equipment also from other well-known and worldwide recognized manufacturers as Kuhn, Degelman. Agricultural products, sold by Eurasia Group, include tractors, combine harvesters, cotton harvesters, balers, planters/seeders, tillage equipment, sprayers, irrigation and turf equipment. Headquarters of the company is registered and located in Switzerland. In Kyrgyzstan the business is run by its daughter company Eurasia Group Kyrgyzstan LLC. Tredstone LLC was established in 2009 as a spin-off from the Holland private equity fund specializing in small and medium enterprises in Russia. To the moment of spin-off Tredstone team has acquired in-depth experience in M&A advisory, due diligence, project finance and principal investment in Russian and Central Asian companies. In 2012 headquarter of Tredstone LLC was moved to Kyrgyzstan with presence in Moscow, Almaty and Istanbul.